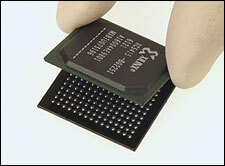 There are numerous methods one can use to reball a BGA component. The method depends on the volume of the rework, the type of package and the alloy being placed on to the device. One of the preform methods involves the use of a preform made from a temperature-resistive polyimide and an adhesive backing that gets peeled off after reflow. The simplest, highest quality preform with the highest fiorst pass yield is the EZReball™ product. The simple nature of the EZReball™ reballing process allows even the beginning repair technician to reliably and quickly replace balls on a BGA package. Alignment is simple with the edges of the preform being “squared up” with the sides of the package thereby eliminating the need to buy custom fixtures or frames. 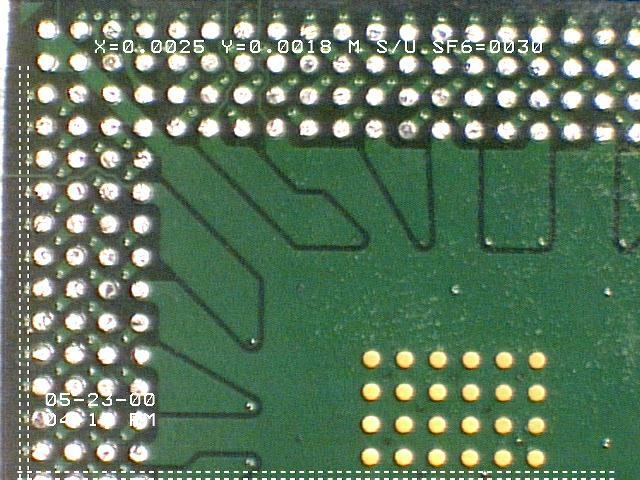 The adhesive is engineered such that the balls are firmly held in place until after reflow thereby reducing the problem of missing solder balls found in other techniques. After the device has been reflowed, the preform is simply peeled off, eliminating the time required in cleaning off residual paper used in other methods. Contact BEST for an EZReball™ preform evaluation kit where you can see the process first hand.